Mindful Boston’s Meditation Teacher Training Pathway is for aspiring meditation teachers who are ready to make a commitment to enrolling in a training studio community. This is not a “quick fix.” You must make an investment in living mindfulness in your personal life as you are supported by a community of fellow practioners. You should attend at least one Community Meditation Night, and you must complete the 6-week Meditation Toolbox course before enrolling in our more advanced trainings. 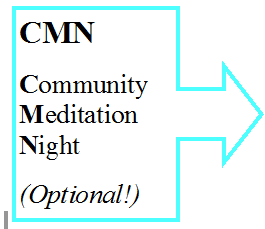 Community Meditation Nights are free events offered to the general public at least once per quarter throughout the year. The Meditation Toolbox course is offered in the spring and fall. The tuition fee is $175. Registration is listed 30 days in advance. 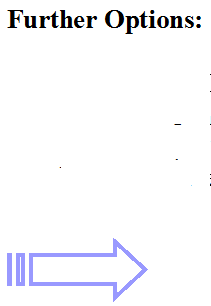 MBSR is the keystone course. 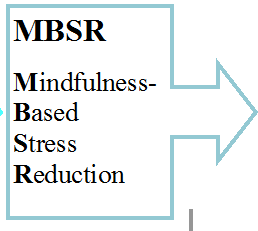 This format of mindfulness immersion has been researched at the UMass Medical School since 1979. Mindful Boston’s MBSR program is taught by Gena Bean. The tuition is $675 for 9 weeks of study. It includes a full day of silent mindfulness practice. Daily practice with audio recordings is required. The next course will start January 2019. During a year of study, Craftsmen Teachers lead at least ten Community Meditation Nights under the supervision of Mindful Boston’s guiding senior teachers. Craftsmen are allowed to teach at their own workplace or community of clients or they can request teaching slots to teach at Mindful Boston’s public events. Tuition is $2000 per year. One year is required for the certificate, yet some students choose to enroll in a second year for their own deepening of practice. The next Craftsman cohort will start their collaborative journey in fall of 2019, graduating in August of 2020. Only graduates of the Craftsman Training can continue on to the Journeyman Training. During a year of further depth of practice, Journeymen are instructed on how to lead Mindful Boston’s Meditation Toolbox Course. Upon graduating, Journeymen are authorized to bring the Meditation Toolbox to their own clients, and they are skilled enough to modify the Toolbox for specific populations. Tuition is $3000 for one year. Journeymen can apply to become staff at Mindful Boston and be paid to teach our Meditation Toolbox course. Craftsmen Level graduates will have a portfolio of audio recording for their resumes and the skill set to bring Community Meditation Nights to client populations. Journeymen Level graduates will have a fluency with the Meditation Toolbox course that can be brought to wider populations. Either level of graduate can proceed to the MBSR Oasis teacher training at the UMass Medical School.